With the enjoyment of its own three-acre park and plenty of privacy, The Enclave on Peachtree presents luxurious homes, just off Peachtree Road. This desirable area sits in Atlanta’s highly coveted Buckhead community, placing residents not far from work, schools or nearby shops and businesses. With less than 20 townhomes to choose from, the multi-story homes are often adorned with upscale finishes, as well as high ceilings and multiple fireplaces. As well, buyers can expect to find hardwood floors and plenty of closet space. With European-style appeal, the estate-like development also features private elevators and the security of a gated community. 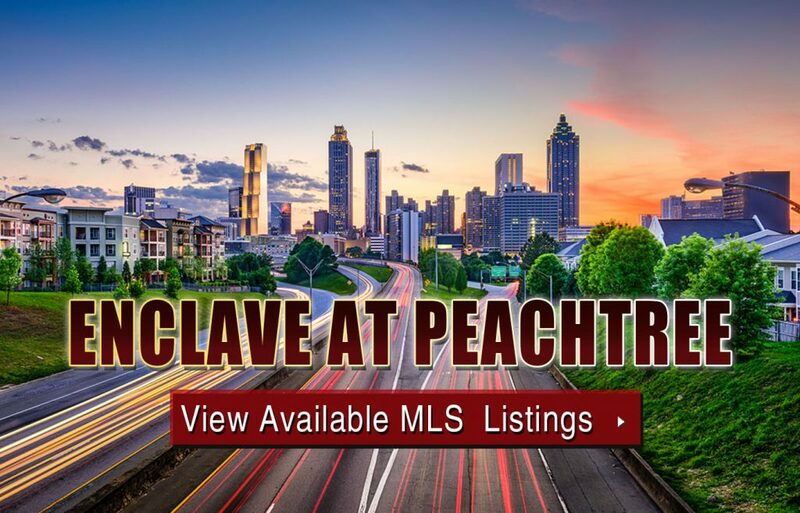 If you’d like more information about what The Enclave on Peachtree townhomes have to offer, contact us at your earliest convenience, or click below to start viewing MLS listings currently on the market. Listed below are recently closed sales at Enclave on Peachtree. Whether you’re thinking about buying or selling a townhouse at Enclave on Peachtree Atlanta, checking to see what other comparable properties have sold for in recent weeks and months provides helpful insight into current market conditions within the community. For more information about Enclave at Peachtree townhomes for sale or for a complete list of recent condos sold in the neighborhood, contact The Zac Team today! Can’t find what you’re looking for in Atlanta’s Enclave at Peachtree community? Start browsing other Atlanta real estate for sale or give the Zac Team a call at (404) 564-7272 for help with your new home or condo search today!